Fun Comes First!™ Hi there sunshine! 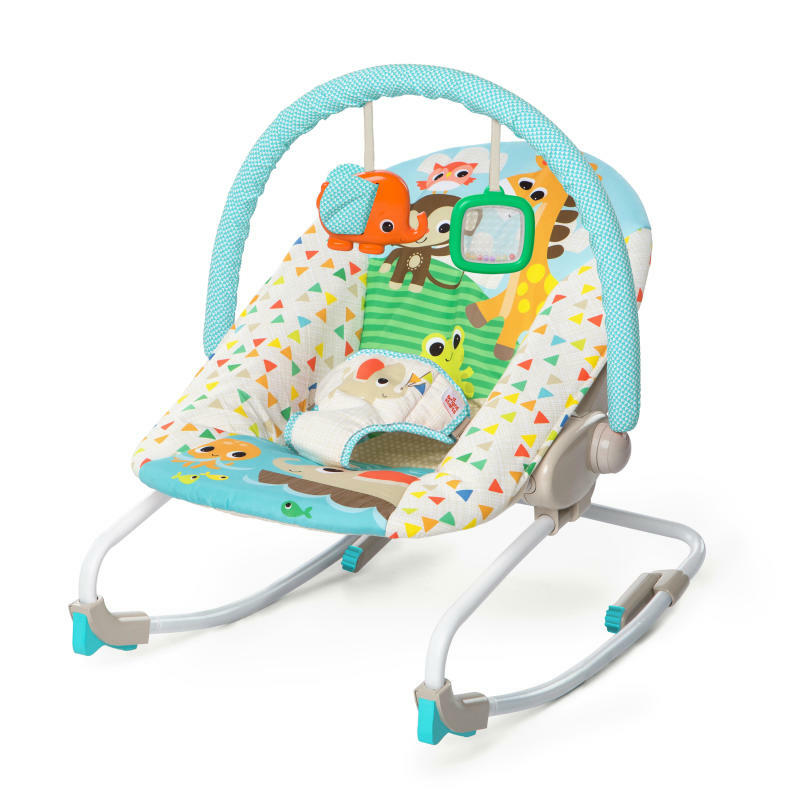 Brighten baby’s day with the versatile Sunshine Seaside™ Rocker from Bright Starts™. Featuring two modes of use, the seat can be used as a soothing rocker or convert to a stationary seat. To use in the stationary seat mode, simply pull out and lock the retractable legs in place at the rear of the seat. Customize baby’s soothing experience with the adjustable recline feature that adjusts to three different positions. The easy-to-remove toy bar is adorned with 2 toys that encourage the stimulation of baby’s senses with crinkle fabric and rattle beads. Designed with cheerful fabrics that are as adorable as they are practical. When things get a little messy, simply toss the seat pad into the washing machine and air dry. With a 3-point safety harness and slip-resistant rubber feet, Bright Starts™ added peace of mind for mom while grabbing a few hands-free moments.